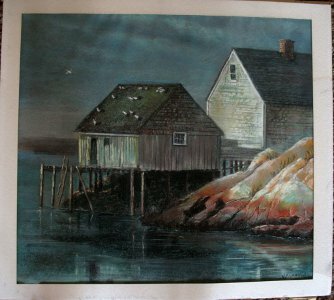 This is a vintage (1973) oil pastel, original painting of an ocean dock landscape. 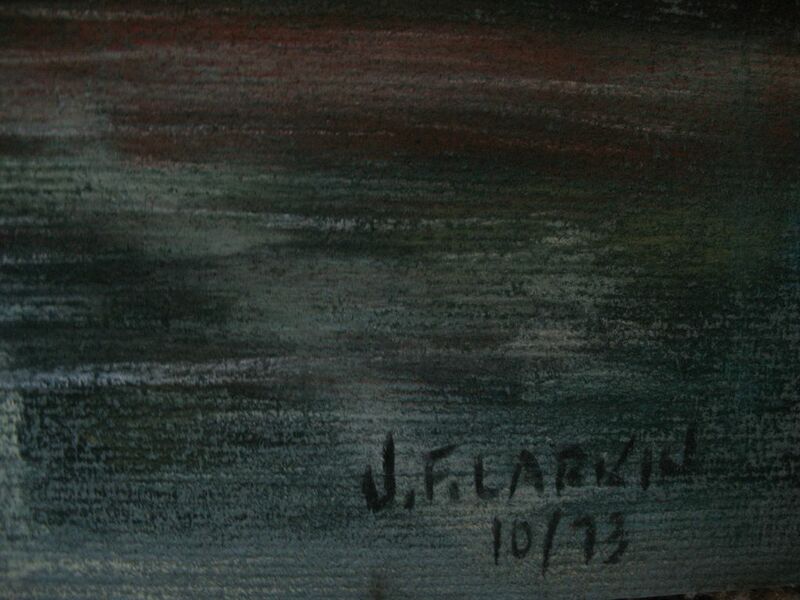 It is signed by the artist, J. F. Larkin, and dated 10/73. 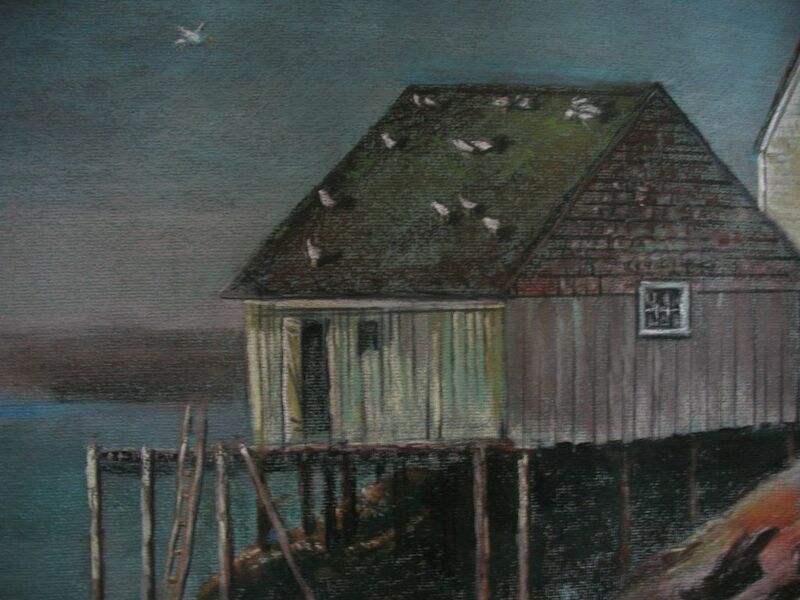 It is matted and framed with a complimentary, rough textured, weathered frame and measures 25" wide by 23" high, with the actual image measuring 22" x 20". There was a glass covering, but it had a break, so I removed it. 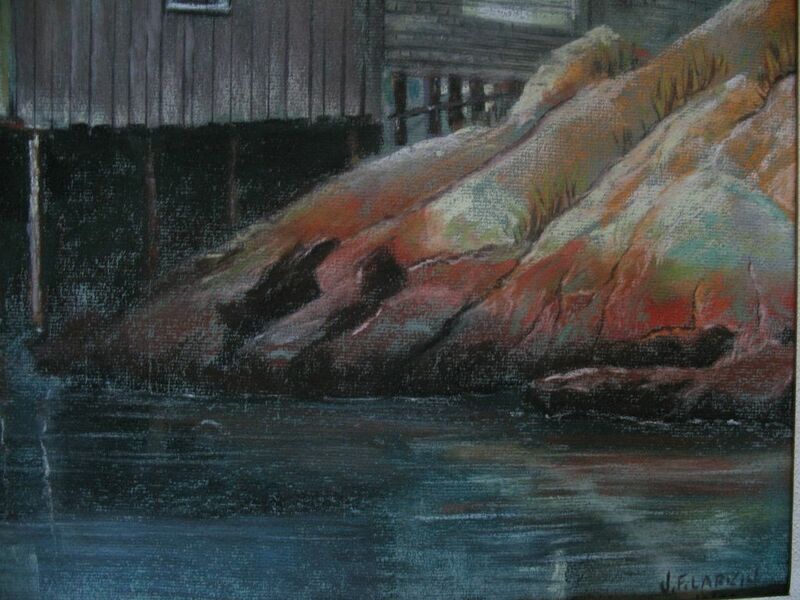 I believe this is a Bucks County, Pennsylvania. artist, but, cannot find any information to confirm this.